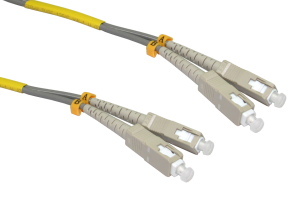 10m SC - SC OM1 fibre optic cable, dual molded SC to SC connectors, grey jacket and 62.5/125 core. 30 Metre Cat5e Network Ethernet Patch Cable GREY High quality CAT5e network patch cable. RJ45 connector each end. Moulded connector boot. Length 30m. Colour GREY. CAT6 UTP Network Cable 305m Box / Reel Full Copper. High quality CAT6 UTP network cable. Solid core CAT6 UTP for infrastructure and av custom installations. Supplied in easy pull box 305m / 1000ft length. Ideal for HDMI Over CAT5 / HDMI Over CAT6, audio video over CAT5 / CAT6 or data etc Colour grey/beige.